Fremont, CA – January 14, 2016 at 9:00am EST– The Z-Wave Alliance, an open consortium of leading global companies deploying Z-Wave, is pleased to announce the winter winner of its global IoT developer competition. Nu Tech Software Solutions, Inc, an automation and process control firm based in Oregon, has taken the prize with AlarmDecoder and will receive Z-Wave Alliance membership and access to the new Z-Wave IoT ready 500 series development kits. 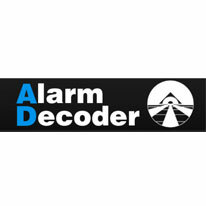 AlarmDecoder from Nu Tech Software Solutions connects to an existing alarm panel and allows users to remotely alarm/disarm their alarm systems and detect openings or closing of set zones directly from their home automation system. The self-monitoring device allows users to control their alarm system with a virtual keypad from a desktop, phone, or tablet and read the alarm status and receive notifications from motion sensors. AlarmDecoder’s open alarm interface supports 80% of alarm systems currently available in the U.S. With the Z-Wave Labs contest win, Nu Tech Software Solutions plans to integrate the product with Z-Wave to extend its connectivity to other controllers. Started in May 2015, Z-Wave Labs is a global competition designed to encourage IoT innovation on the Z-Wave platform. New winners in an IoT related industry are selected each month by the Z-Wave Labs program, including but not limited to: residential, commercial, automotive, healthcare, energy, security and aging-in-place. Winners are able to access the Z-Wave IoT ready 500 series development kits, including the Keil PK51 Professional Developer’s Kit for the 8051 microcontroller family. They are also featured on the Z-Wave Labs website and on social media. Keil supports the Z-Wave Labs competition by sponsoring a one-year PK51 Professional Developer’s Kit license for every winning company. To learn more about Z-Wave Labs, apply for the competition and read frequently asked questions, please visit http://z-wavelabs.org. For more information on the Z-Wave Alliance, please visit https://z-wavealliance.org. Follow the Z-Wave Alliance on Facebook, Twitter and on LinkedIn for the latest updates using the #ZWaveLabs hashtag.